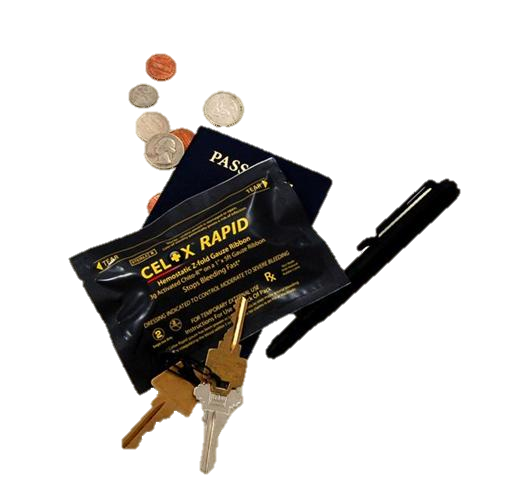 The low profile pack means Celox Rapid Ribbon is easily concealed and the reduced size makes it ideal for treating narrow entry wounds such as bullet, blast fragment and stab injuries. Stops severe bleeding – fast. The current generation of hemosotatic agents need at least 3 minutes of compression to work. Celox Rapid Ribbon Gauze removes the delay by speeding up packing time and reducing compression time to just 60 seconds while using the proven hemostatic technology of Celox.